I had the greatest privilege of recently when ask by not one but two quilters to machine quilt their beautiful hand pieced quilts, quilt tops! The ladies asked for a free-motion swirl, my most favorite free-motion style. Some close ups showing the super threat choices. Some photos of the quilts with daisy. The quilts turned out lovely and soft. 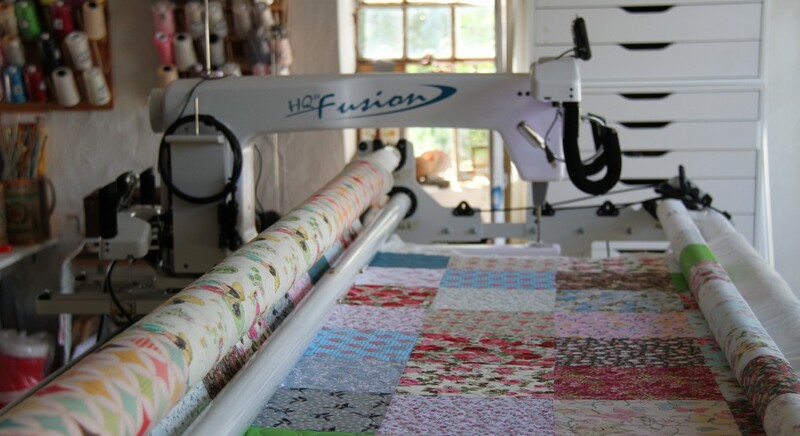 It was such fun to quilt such lovely quilts,so beautifully stitched. Thank you ladies for entrusting me with your masterpieces I did enjoy working on them! < Gitte at the quilt show Burminghan UK.